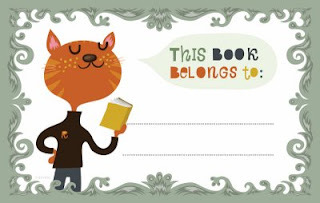 No Ordinary Day: Helen Dardik and her printable bookplates - Yum! Helen Dardik and her printable bookplates - Yum! Fellow Canadian Helen Dardik makes the most wonderful illustrations, and she is offering printable bookplates on her blog for free. Check them out - they are delicious!